(Tech Xplore)—Uh oh. 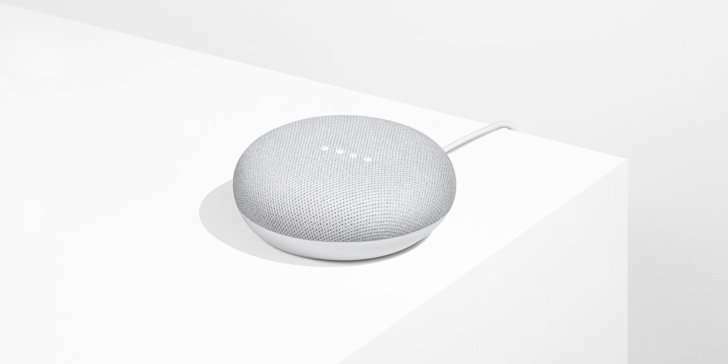 The Reviews Editor at Ars Technica, Ron Amadeo, who specializes in Android OS and Google products, joined a list of other Google watchers to discuss a Google Home Mini pre-release going "rogue" and starting to record 24 x 7. The Google Home Mini's touch mechanism was registering phantom touch events, said MacRumors. "So basically, the device was constantly sending clips of ambient noise and conversation along, eventually producing a nice searchable database of thousands of clips, organized by time (and potentially content, if it were to transcribe them)," wrote Devin Coldewey in TechCrunch. The issue involved the Mini's touch control. "The Mini has a touch-sensitive surface, and, to issue a command, you can either say "OK Google" or long press on the top," said Amadeo. Google engineers looked at the device gone rogue and said, ah, it was a defective touch panel. Artem Russakovskii, the founder of Android Police, had picked up a pre-release unit; an October 4 event had been held for the tech press. It recorded "thousands of times a day." Google wasted no time in calling out the problem, like really wasted no time. "Russakovskii seems happy with Google's response," said Amadeo. The company replied to his initial e-mail within 10 minutes and issued an update the day after his report. Google's update disabled this feature. "We've decided to permanently remove all top touch functionality on Google Home Mini. We made this decision to avoid any confusion and give you complete peace of mind while using your Mini. The update will be completely rolled out by end of day October 15, 2017." Mini's volume controls have not changed. One can still control the volume by side touch and voice. Russakovskii said in his Android Police report: "Google never intended for it to happen and has reacted incredibly swiftly to rectify the situation." Google's statement on the original issue: "The Google Home team is aware of an issue impacting a small number of Google Home Mini devices that could cause the touch control mechanism to behave incorrectly. We immediately rolled out a software update on October 7 to mitigate the issue. Who is affected: People who received an early release Google Home Mini device at recent Made by Google events. Pre-ordered Google Home Mini purchases aren't affected." Who may have got the pre-release unit with the problem? Amadeo: "Google says the people affected are those 'who received an early release Google Home Mini device at recent Made by Google events.' He added that the Made By Google events "presumably don't just cover the press event; they also cover the pre-release giveaways that have been occurring at pop-up stores across the US and Canada." Russakovskii in his Tuesday Android Police update: "The company assures pre-order customers that their units won't be affected, and the defect should be limited to the batches given out at Made by Google events, which presumably includes 4,000 Home Minis distributed at the donut pop-up events as well as the ones from the October 4th press event." The following was from the Google support page. "Who is affected: People who received an early release Google Home Mini device at recent Made by Google events. Pre-ordered Google Home Mini purchases aren't affected." Amadeo said that "the good news is that this was caught before the product hit store shelves." The Google Home Mini is expected to hit stores on October 19.